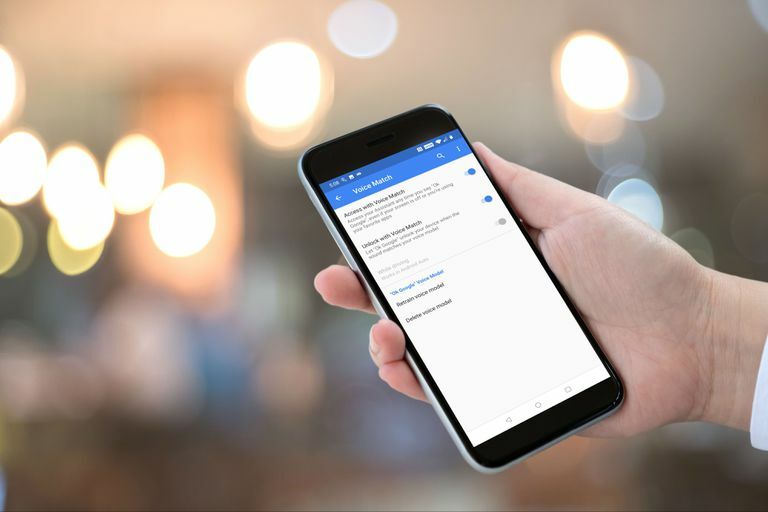 Google Assistant is a virtual assistant that's designed to streamline tasks like opening apps on your phone, making appointments, and sending text messages. When Google Assistant Voice refuses to work properly, there are several things to try to fix it. What Causes Google Assistant Voice to Break Down? When Google Assistant voice commands don't work, it's usually because of some type of problem with the Google app. Some of the most common problems include incorrect permissions that prevent the Google app from accessing your microphone, accidentally turning off voice commands, and corrupt data in the app. If your Google Assistant won't accept voice commands, you'll need to try each of the following fixes, in order, until it starts working again. If it still doesn't work after you've exhausted all of these fixes, then you may have to wait for Google to address the specific problem that you're experiencing. Google Assistant needs permission to access a lot of different systems in your phone. For example, it needs to access the microphone, or it won't be able to hear your voice commands at all. If Google Assistant voice commands don't work on your phone, then the first thing you need to do is check the permissions. If you find that any of the permissions are disabled, enabling them will probably fix the problem. Google Assistant works through the Google app, so you need to make sure that the Google app has access to your microphone at a bare minimum if you want it to respond to your voice. If you want it to be able to do anything useful, then make sure to enable all of the permissions. In the app info list, tap Google. If any of the slider switches are grayed out, tap them so that they slide to the right. Make sure that every slider is switched on, and check to see if Google Assistant voice commands work. If Google Assistant still doesn't respond to your voice, try rebooting your phone after you have enabled all of the app permissions. If it still doesn't work after that, you'll need to make sure that the "Okay Google" command is actually enabled. Google Assistant can accept both vocal commands and text commands, so it comes with the option to turn voice commands off. If you want it to respond to voice commands, you have to make sure that the "Okay Google" command is enabled in the settings for your Google app. Open the Google app, and tap More to open the Google app settings menu. Depending on the version of the Google app you have, you may see ⋮ (three vertical dots) or ☰ (three vertical lines), and you may or may not see the More text. Make sure that the slider switches for Access with Voice Match and Unlock with Voice Match are both slid to the right. If either switch is slid to the left and grayed out, tap it. You can save some time by tapping Retrain Voice Model at this time and retraining the voice model. Further instructions are available in the next section. Check to see if Google Assistant voice controls work. If it still doesn't respond, then you'll have to retrain the voice model. In some cases, Google Assistant voice commands don't work because Google Assistant just can't understand you. It relies on something called a voice model, which is just a record of you saying "Okay, Google" and "Hey Google" a few times. If the voice model gets corrupted, or it was recorded in a loud area or by a previous owner of your phone, then retraining the model will usually fix your problem. Open the Google app, and tap More. Then tap Settings > Voice. These are the exact same steps you took in the following section to turn on the "Okay Google" command. If you're still on that screen, you can skip this step. Tap Retrain voice model, and enter your PIN or scan your fingerprint if prompted. Say the indicated phrases when prompted. Make sure to enunciate each command clearly. You may also want to move to a quiet space if there is a lot of ambient noise, or other people talking, which can have a negative effect on the accuracy of your voice model. If the voice model training session is successful, you will see a screen that says something to that effect. Tap Finish to complete the process. Check to see if Google Assistant voice commands work. If you're still experiencing trouble, you may have a problem with your Google app. Google Assistant voice commands rely on the Google app to work, so problems with the Google app can result in voice commands not working. In some cases, this type of problem can be rectified by clearing the Google app data and cache. If that doesn't work, you may need to uninstall Google app updates and return the app to the state it was in when you originally got your phone. In the worst case scenario, you'll have to wait for Google to provide a fix. Tap OK, then tap the back button to return to the previous screen. Tap Clear Cache, then tap the back button. Tap the ⋮ (three vertical dots) icon. If you have an older version of Android or the Google App, you may not see the ⋮ (three vertical dots) menu here. If you don't see this menu, then you don't have the option to manually roll back your Google app and will have to wait for Google to issue a fix. Check to see if Google Assistant voice commands work. If Google Assistant voice commands still don't work, download and install the most recent version of the Google app. Navigate to the Google app in the Google Play Store, and tap UPDATE. If Google Assistant voice commands still don't work, you'll have to wait for Google to issue a fix. Check out the official Google Assistant support forum to report your issue and request additional assistance.